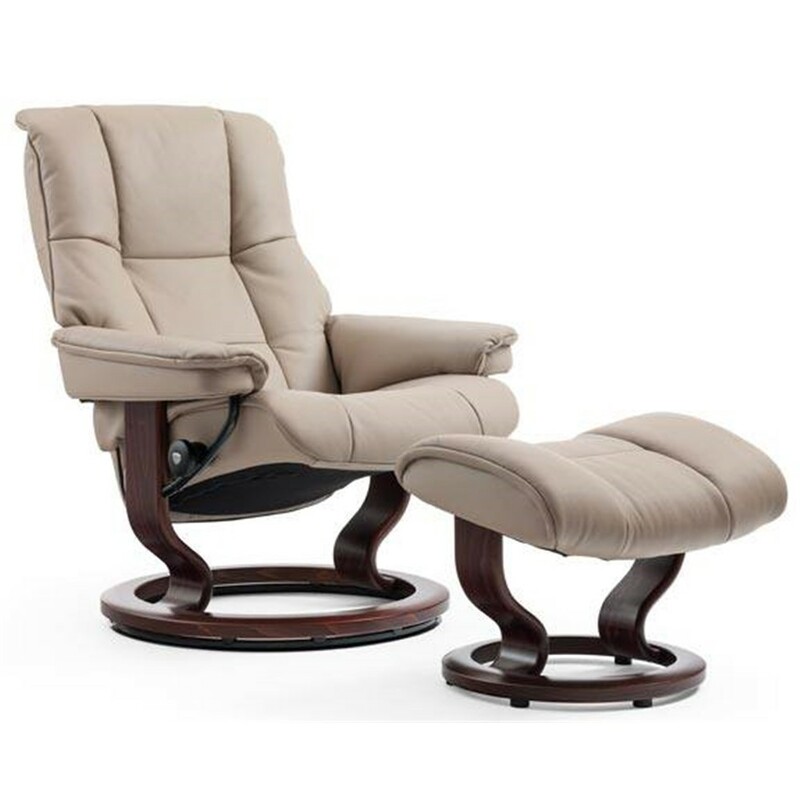 A nod to some of the capitals most chic addresses, the Stressless Windsor (medium) and its sibling Stressless Buckingham (large) collections are as sleek as their names suggest. 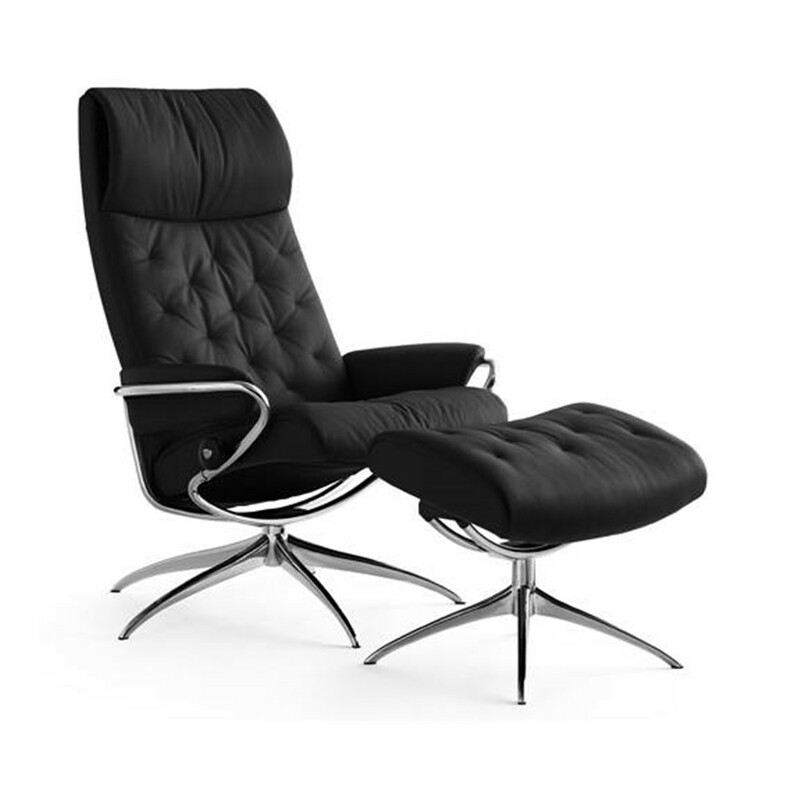 With gentle curves, padded arms and supple seats, these sofas offer an invitation to pure relaxation. 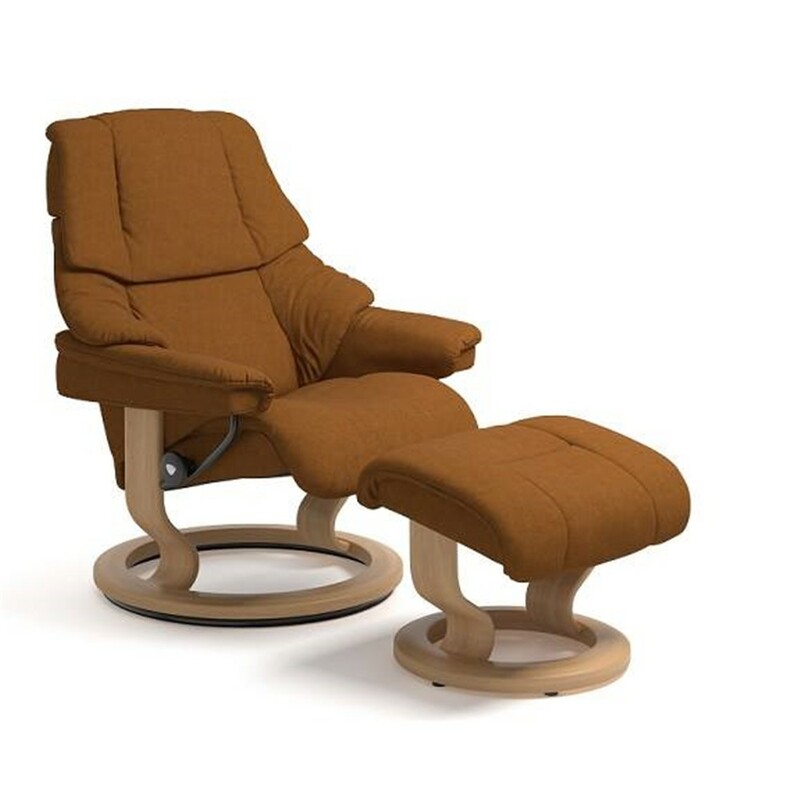 The Stressless Buckingham and Windsor sofas each have individually reclining seats coupled with our patented Stressless Glide System, ensuring maximum support for the entire body. 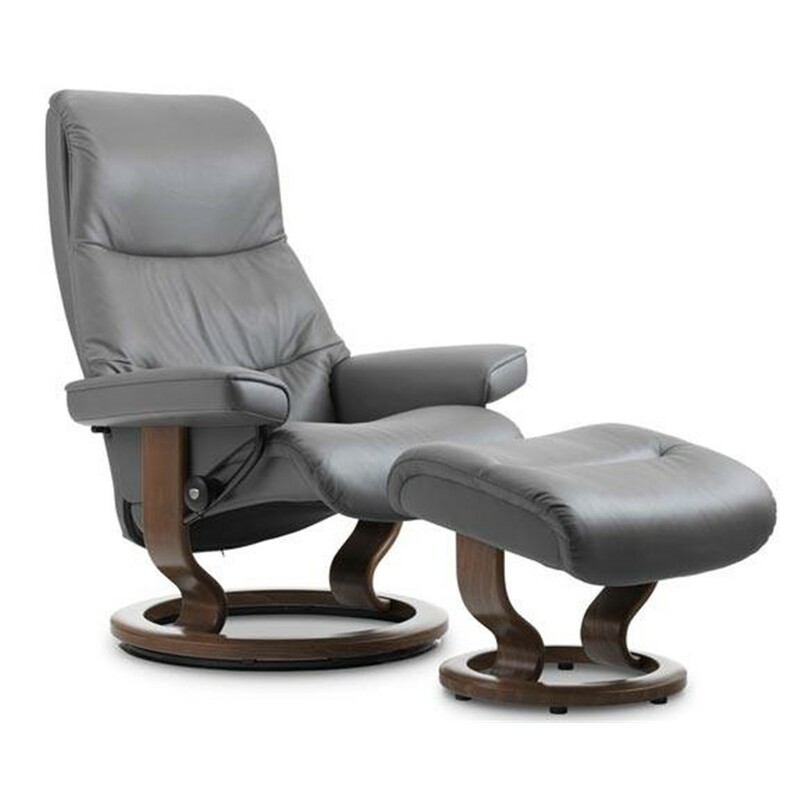 Complete your room with the coordinating Mayfair recliners. Price shown in Batick leather.